HempVine 10pk Lighter With 14ft Hemp Wick. Magnetic Hemp Lighters. Made From Organic Hemp +Beeswax. ..
Humboldt HempWick - Large - 20ft. 1ct. Hemp wick has a tremendous amount of advantages over butan..
Humboldt HempWick - Spool - 250 ft. 1ct. 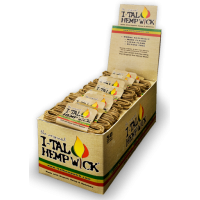 Hemp wick has a tremendous amount of advantages over but..
I-Tal HempWick Supreme 250ft. 1ct. 250 feet of organic hemp with beeswax for a natural flame. A p..
Ital Hempwick Large 16.5ft With Holders. 24 Wicks With Holders In A Box Display. 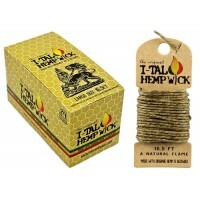 Ital Hempwick Ho..
I-Tal King Size Hemp Wick 100ft Spool. 6 Hemp Wick Balls In A Box. 100 feet of organic hemp with .. Raw Hemp Wick 10ft. 40 Hemp Wicks In A Box Display. 1ct. 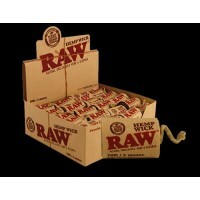 RAW® Hemp Wick is a natural alternativ..